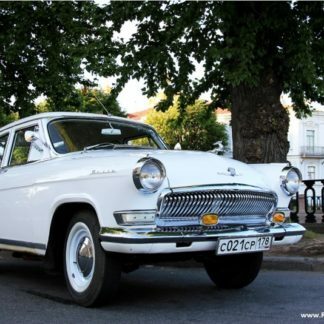 At one time, the Soviet car of the representative class “Chaika” was available only to ministers, heads of republican departments, first secretaries of regional committees and directors of strategically important enterprises. Sometimes GAZ 13 was given to famous people. Among them – Yuri Gagarin, Mikhail Sholokhov, Fidel Castro, Galina Ulanova and Valentina Tereshkova. It is interesting that all “Seagulls” were then produced in black, and the only white presented to the woman-cosmonaut. 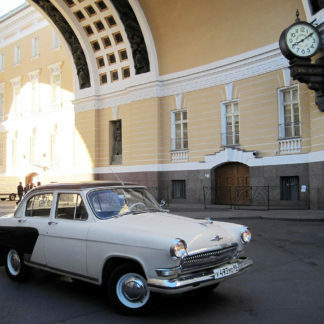 They gave Chaika the decommissioned cars for weddings in the registry offices or in hotels. For 22 years of production of these cars only about 3 thousand copies were produced. The Seagull remained an unattainable dream. 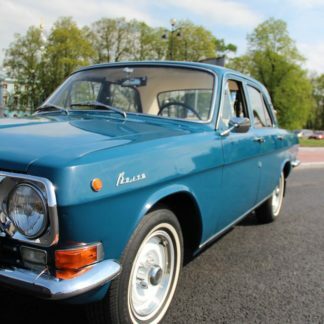 Today, to evaluate the machine, called “the most beautiful Soviet car”, anyone can own. The automatic transmission, power in 195 hp, the engine on 5,5 l – all this was appreciated by the ruling elite. Booking our Seagull, you will be delighted with this luxurious white car, its comfortable six-seater, original interior and light leather seats. The Seagull car s appropriate not only as an ornament for an event in retro style, but also emphasizes the importance of this event. After all, earlier on such cars people went only, on which the destiny of the entire Soviet people depended. A ride in our Seagull will remain a vivid memory for many years, and if used in our Photo Shoot package taken by our professional photographer will help to revive the memories. Book our white Seagull rental with impeccable interior! 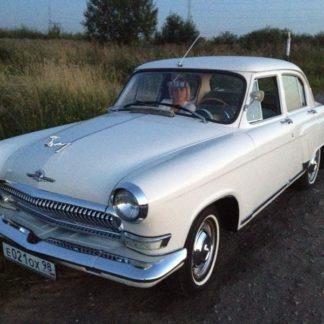 Restoration of this car was carried out in May 2012, GAZ 13 in perfect condition. White color, beautiful and cozy salon of cream color, chromeplated bumper and radiator grille, exclusive discs – all these details will add granduer to your trip!